St. Andrew's-Sewanee School is offering a variety of summer camp opportunities on the campus of SAS, beginning in May. Registration is open and spaces remain available for all camps but Soccer Camp which is full. SAS Basketball Camp will be held May 31–June 3, from 9 a.m. to noon. This day camp is for boys and girls in grades 1-8. The cost is $90. Players will work on fundamentals, participate in dribbling and shooting contests, and play full court games. The philosophy of the camp is to build a solid foundation of the fundamentals of the game, along with an emphasis on teamwork. SAS director of athletics and basketball coach Rob Zietler will direct the camp. SAS Soccer Camp is FULL. The camp will be held from 9 a.m. to 3 p.m., June 6–10. The cost is $200 for Peewee (rising second–third graders), Junior (rising third–fifth-graders), and Youth (rising sixth–eighth-graders). Soccer Camp offers players instruction and drills to promote better ball-handling skills and game strategy. The camp also includes the opportunity to swim at the DuBose Conference Center pool in the afternoons. The camp fee includes a camp T-shirt. Campers are expected to bring their own ball. Coach Margot Burns and Coach Harrison Camp may place children in camp divisions by skill level rather than strictly by grade level. Choir Camp, formerly held at DuBose Conference Center under the direction of SAS music teacher Katherine Anderson will be held on the SAS campus this year. This camp is geared toward boys and girls in grades 1–7. The camp will be held June 13–17 from 10 a.m. to 4 p.m. and costs $200. Children will learn a variety of songs, which will be performed for family and friends the final afternoon of camp. In addition to singing, there will be musical games and a daily swim at the Fowler Center. SAS Arts & Outdoors Camp is a full day camp for boys and girls in grades 4-8. The camp will be held June 20–24 from 9 a.m. to 3 p.m. 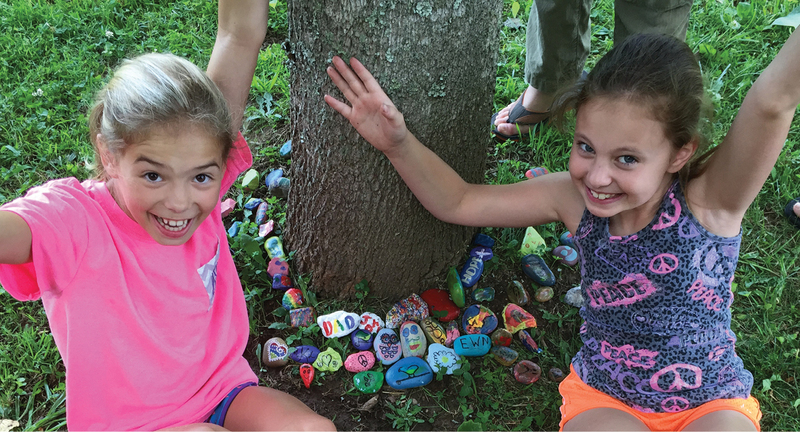 Combining art, education, and the outdoors, this camp will engage students in the expansive natural environment of the St. Andrew's-Sewanee campus. Students will explore, imagine, and create by working with a variety of techniques and materials, including traditional art media, found objects, and naturals fibers. Cost is $250. SAS faculty member and artist Natasha Brunton directs the camp. To register for any of these camps or for more information, go to http://www.sasweb.org/summer. Shakerag Workshops is a group of one-week arts classes for adults held in June each year on the St. Andrew's-Sewanee campus. Session one will be held June 12–18. Session two will be held June 19–25. For more information, go to http://www.shakerag.org.